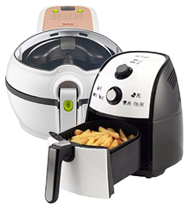 For delicious chipper-style chips with a deep fat fryer or the healthier air-fried options we have the best prices and top brands such as Morphy Richards, Tefal Actifry & many more. Fast and reliable delivery nationwide. Variable Temperature Control (150° - 190°) offering flexibilty for frying all types of food.